The Bass Harbor Coat Tree makes a wonderful accessory for your home. 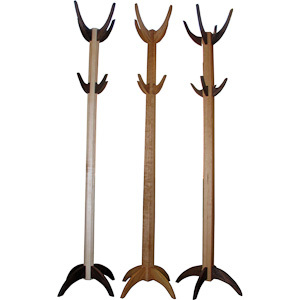 The coat tree comes in three styles, tapered, octagonal and square with chamfered edges. The legs and hooks have a gentle curve to them. The coat tree can hold four hats and coats. The legs have a spread of over 19 inches preventing tipping.